As we have previously tested and written ‘Hands on review for Norton Internet Security 2012‘ recently, I’ve got a chance to review Symantec’s most advanced all in one anti-virus product yet – Norton 360 v6.0, released for year 2012. As previous editions of Norton 360 proved to be the best in class for most of the PC users previously, and this version 6.0 of Norton 360 was claimed to be the high on performance and device management. So I took the challenge to test the antivirus using the 3 PC setup that were of low-budget, average performance and high-end hardware. In addition to that I just quickly spent few time on my tiny netbook and a laptop as well. Testing Period – 8 Days. Norton Antivirus & like Norton Interne Security are capable of removing all viruses, malware and harmful stuff in your PC in addition to the protection of threats from Internet as well. But in Norton 360 Version 6.0, you get Tune Up & Backup functionalities that take care of your PC performance and automatically backup important data respectively in addition to its functionality as normal Antivirus. Simple isn’t it? Lets move on to the detailed review of the Norton 360 then. 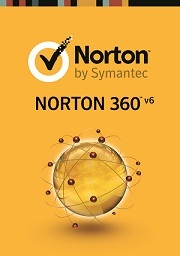 Symantec has always developed award-winning Norton products in their major category of detecting and neutralizing threats to your PC, and Norton 360 Version 6.0 is no exception to it. They have developed their database over the years and tackled almost every challenges that new viruses brings to your PC and latest updates are released frequently for ensuring you get the best of their protection quality. As from last few versions Norton were specifically focusing over the ‘Performance’ issues that lower end users face while using any antivirus solution on their PC. And with Norton 360 v6 it is just got better. Because shifting their major focus on cloud storage and operation installing and using the this software is so swift and light to use. The installations were done within 2-3 minutes on every hardware configuration I tried and it is just amazing to see how fast everything got set up. The experience of overall scanning and cleaning the PC on first run was no exception to its finest permanence capabilities. Scanning process time was little delayed on netbook compared to PC setups, which was of course expected due to its mobile processor and merely 1GB of RAM. But the low-end PC setup even with 512MB of RAM left me impressed with overall processing & neutralization speed. Even when performing backups, PC tune ups, cleaning files the performance was very good so I can do any other work on PC simultaneously. 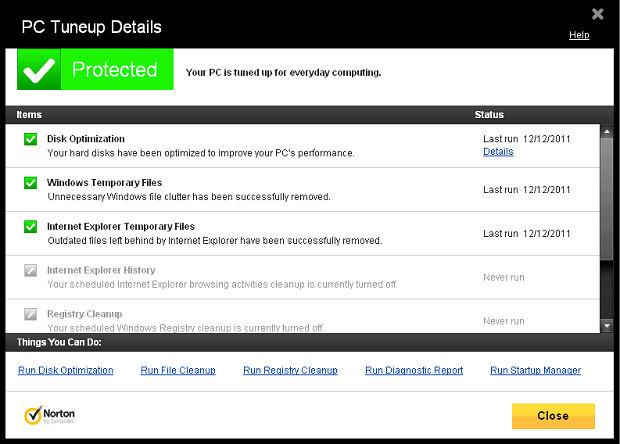 So I would give full marks to Norton 360 for its performance. 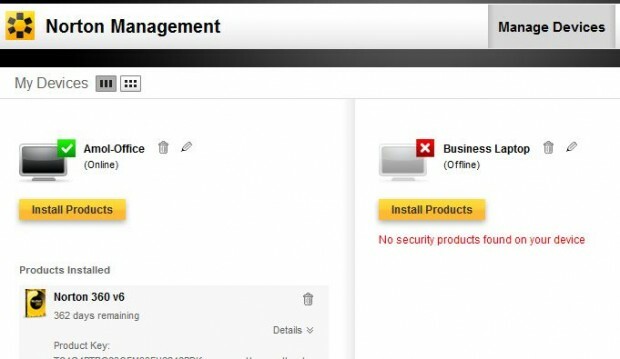 Norton 360 Version 6.0 is bringing us unique management experience that not just manages your single PC, but almost 5 more devices you own from a Single management UI. As you know Norton separately provides you protection from mobile threats for smartphone OS like Android & iOS, you can add even them to your single Norton Management UI. From one licence you can manage and operate about 5 devices which might like 3 PC one Laptop one smartphone or any kind of combination. The best feature of Norton management is you can control your PC remotely anywhere form the world and perform tasks on them thanks to power of Norton 360’s online management support. 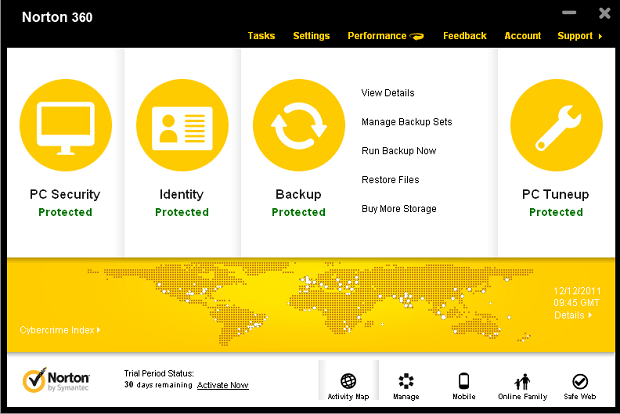 With Norton 360, backups have just got better. You can store your important data using Norton’s automatic or manual backup utility that can be setted up easily. You can save the backups on your PC, external drives or on the 2GB cloud storage you get free with Norton 360 v6.0. Also, there is premium version of Norton 360 v6.0 where you get whopping 25GB of online storage for keeping your data, creating backups or for any other usage. What Norton 360 Protects you From ? Norton Identity Safe is designed to store your login credentials across the all standard web browsers and you get an additional layer of security that protects you from phishing attacks and more. Norton protection installed within your web browsers scans for web pages, and search engine results to show you which pages are safe to shop and browse. And even stops you for accessing malicious, spammy and spyware infected web pages from time to time. As I said before its tune up management capabilities lets you scan and fix issues in your PC, to make it run faster and to give you best of its productivity. The Advanced Start up Manager lets you add remove programs from start up or also delay few start up programs for better PC starting time. So the overall Norton 360 Version 6.0 Package promises you to get protection from Viruses, Spywares, Malicious Downloads, Cyber Criminals and slower PC performance. In Addition to which you can set back ups on cloud and keep your computing experience completely worry free! For any consumer using average to high-end PC setup, Laptop or Netbooks I would highly recommend using this Norton 360 Version 6.0. 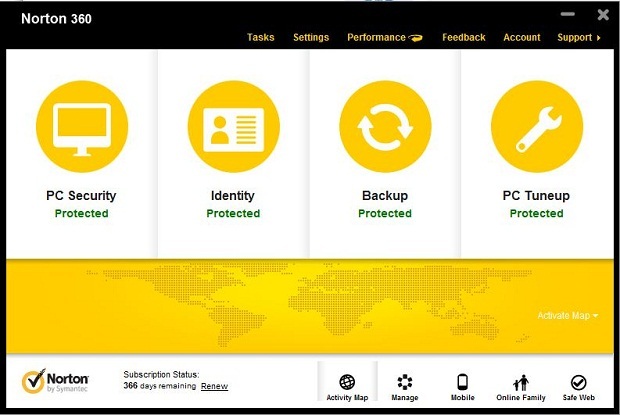 Also if you have too much confidential data or important file storage I recommend you to go for premium version of Norton 360 v6.0. Download Here The Trial Version of Norton 360 v6.0 for Free! How To Recover The Lost or Deleted Partition? Thank Govind, Its a truly faster upgrade to older Norton products and you would know as you try it!